Success is mine! I wrote one fan letter and one regular letter and got them sent off in today’s mail. Day 1 of InCoWriMo is off to a good start. I’ve created a list of people to write to every day this month including pen pals, relatives, friends, famous people and a few influencers. I was the lucky recipient of three letters, all of which were swaps I participated in through Swap-bot. 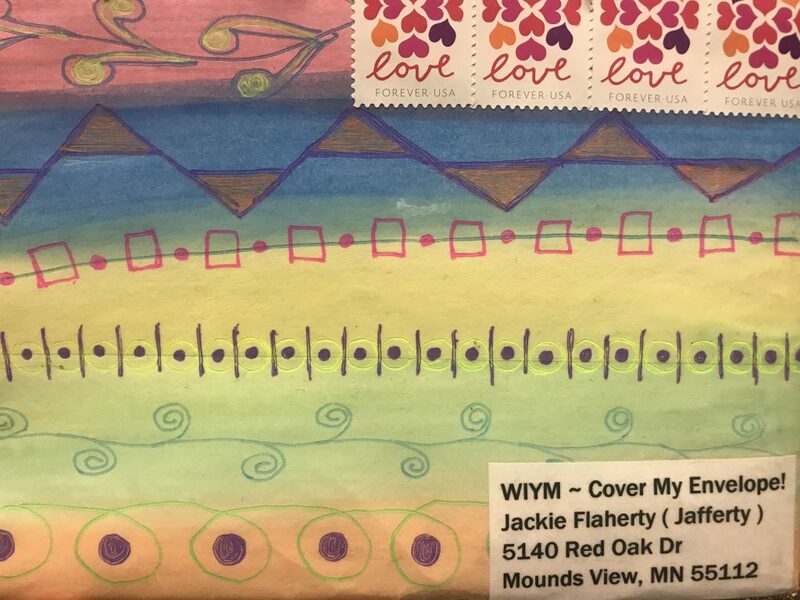 The picture above was from the swap for”Decorated Envelope” that I received today. I love it!